Natural disasters are in no one’s control but what can be done is precautions and switching into recovery mode as soon as possible. We at News Heads try to club incidents that happened in the quake and ask each of our reader to help in all possible ways. Latest Death Toll: Nearly 4000 people have lost their lives and thousands are injured. Indians Rescued so far: Prime Minister Narendra Modi government is putting their maximum efforts to evacuate Indians from the affected area, so far 2600 Indians have been rescued. 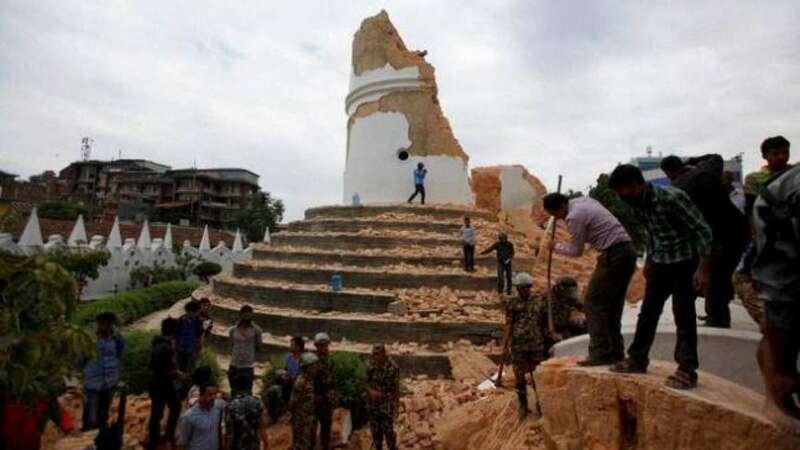 Highest magnitude tremor that hit Nepal: 7.9 magnitude earthquake which was followed by many more aftershocks. Baba Ramdev was the one who was running a camp in Kathmandu and skipped death by moment. Jannat Director Kunal Deshmukh was also in Nepal when quake came. His safety was announced by Mahesh Bhatt on Twitter. It’s time when everyone should join hands to save Nepal not from quake but from the aftermath that may cost more lives.